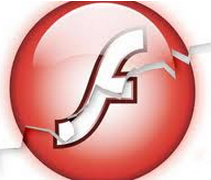 Adobe today pushed another update to seal nearly three dozen security holes in its Flash Player software. Microsoft also released 14 patch bundles, including a large number of fixes for computers running its new Windows 10 operating system. Not to be left out of Patch Tuesday, Oracle‘s chief security officer lobbed something of a conversational hand grenade into the security research community, which responded in kind and prompted Oracle to back down. Adobe’s latest patch for Flash (it has issued more than a dozen this year alone) fixes at least 34 separate security vulnerabilities in Flash and Adobe AIR. Mercifully, Adobe said this time around it is not aware of malicious hackers actively exploiting any of the flaws addressed in this release. Adobe recommends users of Adobe Flash Player on Windows and Macintosh update to Adobe Flash Player 18.0.0.232. Adobe Flash Player installed with Google Chrome will be automatically updated to the latest Google Chrome version, which will include Adobe Flash Player 18.0.0.232 on Windows and Macintosh, and version 18.0.0.233 for Linux and Chrome OS.